Findlay, Ohio, is a flourishing Midwestern city that has been ranked as the best micropolitan community in the United States. With an active downtown, shopping, restaurants, and beautiful parks for outdoor fun, the community is a great place to study, work, and call home. 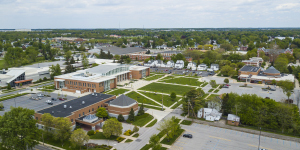 University of Findlay cultivates the potential in each student through academic excellence, transformative experiences, and a supportive community that’s grounded in the Christian faith. 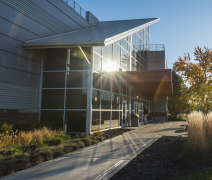 The University is known not only for Animal Science, Equestrian Studies, health professions, and science programs but also for cultivating the next generation of business leaders, educators, and innovative thinkers through a dedication to experiential learning both inside and outside the classroom. Established in 1882 through a joint partnership between the Churches of God, General Conference and the city of Findlay, the University of Findlay has nearly 60 majors leading to baccalaureate degrees and offers 10 master’s degrees, a Doctor of Education, a Doctor of Occupational Therapy, a Doctor of Pharmacy, and a Doctor of Physical Therapy. 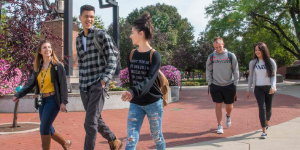 Nearly 4,000 students from approximately 40 countries are enrolled at Findlay. With an international student population of nearly 300, Findlay’s campus offers global experiences to students from all over the world. In addition, our faculty and staff strive to create a supportive community in which our students grow and find their path to a meaningful life and productive career. Students may participate in any of nearly 100 student organizations, including special-interest clubs, student media, student government, performing arts groups, service clubs, academic honorary organizations, spiritual life groups, and Greek sororities and fraternities. Club sports and 18 intramural sports keep the competitive spirit alive on campus. The fine arts flourish on campus with a variety of theatre productions, art exhibits, and vocal and instrumental music concerts that offer creative outlets and training for students. The University of Findlay participates in 24 intercollegiate sports and is a member of the National Collegiate Athletic Association (NCAA) Division II, competing in the Great Midwest Athletic Conference (G-MAC). Both equestrian teams are members of the Intercollegiate Horse Show Association. Eight traditional residence halls, along with townhouses, apartments, and cottages, are available to meet students’ housing needs. The active housing and residence life program helps students make the most of their time on campus.